From Mumbai, we fly into Zurich, and after the scheduled halt and a change of planes, we take off for our final destination – Spain. Cruising at high altitudes early in the morning, with a coveted window seat, overlooking the Alps and sipping champagne, the day could not have started better. Our work in Castellon dispensed with, we reach Valencia on our second day in the warm country, late in the afternoon. Plonking our suitcases in our rooms in the five-star, we waste no time in stepping out to pound the pavements and explore the cityscape. Like in Castellon, my eyes take their fill of the young – and in some cases the slightly older – men and women who are jogging across the pavements or are speeding across roads on their cycles, tanned and toned. It is ample evidence of how fit Europe is – a continent that is conducive to walking and exercising. It is no wonder then that a walk to the beach is first on our agenda and is completed with much chatter and merriment. After an hour or so, we trace our steps back to where our hotel stands only to have dinner at Restaurante L’Azud that is located on the pavement opposite. Revelling in the wonderful weather we opt to sit outside under the canvas canopy. A young man, Hector, who is the owner’s son does the entire service on his own, chatting with us in between the many courses we order. Naturally, pitchers of sangria make their way to our table – in between plates of smoked shrimps, grilled cream cheese with caramelised shallots, savoury blueberry jam with a mushroom risotto. For a sinful finale, we dip into fig mousse and a decadent triple chocolate flan. And after our satisfying meal that goes on till almost midnight, a relaxing amble down the roads is the perfect nightcap that a doctor would order to digest the goodies. The next day, it is time to explore the variety that Valencia offers. If I were years younger, I would bike around the city that is so conducive to strolling and biking. But, we take cabs and do the rounds of the shops in the city. 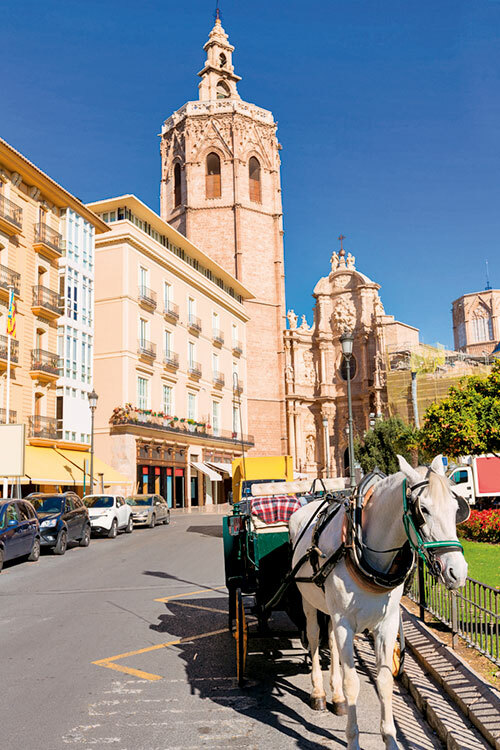 For those who wish to stock up on bags and clothes, Valencia has a host of options to spend on – it is Spain’s third largest city with a fascinating mix of large shopping centres with a host of branded products and smaller independent outlets that offer traditional leather and ceramic. 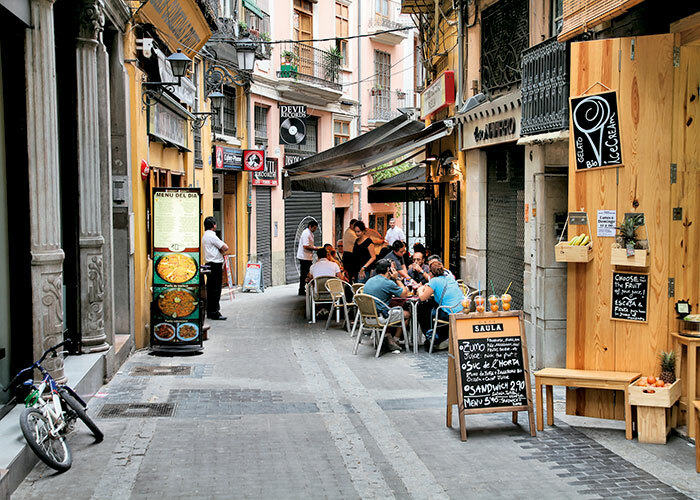 Just remember that Spain loves the age-old tradition of the siesta – many Spanish businesses close for a few hours at lunchtime so that workers can go home, eat their lunch and have a nap. Keep this in mind especially if you are heading to Valencia’s smaller shops in the Old Town (behind the Cathedral). However, most of the larger options, including department stores, shopping centres and high-street stores are open all day. Valencia has an impressive selection of branded stores, boasting of a variety of names encompassing the likes of Louis Vuitton, Hermes, Carolina Herrera and more. High street brands like Zara, Mango and Bershka – all Spanish by origin – offer the latest collections at competitive prices. Apart from its stores, Valencia is proud of its daily street markets. These take place once a week in different parts of the town. Information is easily available as to where they are going to be on a given day. We ensure that we make a visit to the Mercado Central (Central Market). It is worth the trip just to soak up the atmosphere. There are a variety of fresh fruit and vegetables and plentiful offerings of fish and meat. Tired of strolling around, we sit down and have a tapas and a drink. 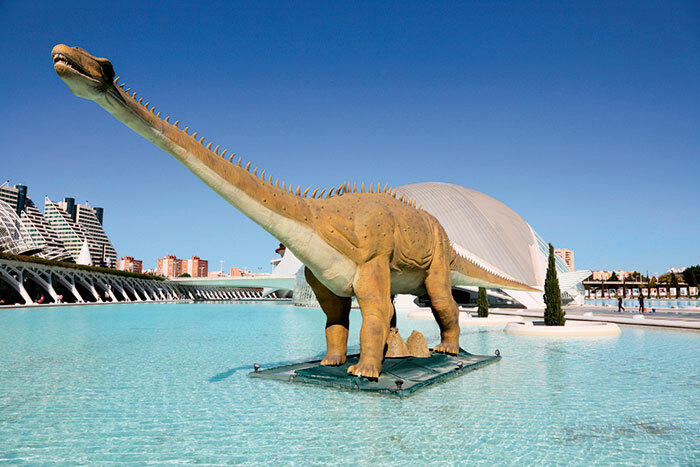 One afternoon, we take a cab to the amazing City of Arts and Sciences. As we draw closer, its fantastic architectural lines – so futuristic and fluid in appearance – engage our attention. One needs ample time to fully enjoy all that it boasts of – an open air oceanographic park, an opera house and entertainment centre, an interactive museum of science that is spread over three floors, the planetarium and laserium whose external façade resembles a giant eye…and more! As the sun sets, we listen to a group of young performers who play to the crowds that have gathered there. Promising to return with more time on our hands, we reluctantly leave! The next day sees us heading towards the Old Town – to spend time walking around its narrow lanes that have a charm of its own. We ask shopkeepers and other tourists for directions – at times, even chatting with a cop to find out where we are headed. And for a very short while, we take the ‘hop-on, hop-off bus’ that most tourists prefer. It is a popular way of seeing the entire city in one day! We are soon engulfed by the magic of the Old Town of Valencia which is a maze of streets. We discover several hidden squares, each with its own character. At the Plaza de la Reina, at the main entrance to the Cathedral, we catch our breath on a terrace that serves fantastic sangria! I sit on the ledge surrounding the fountain near the cathedral and soak in the rejuvenating sunshine. We do take a close look at the bell tower, Miquelet, but we do not have the time to climb up all the 207 steps to the top of the cathedral’s tower – it is indeed a daunting task! 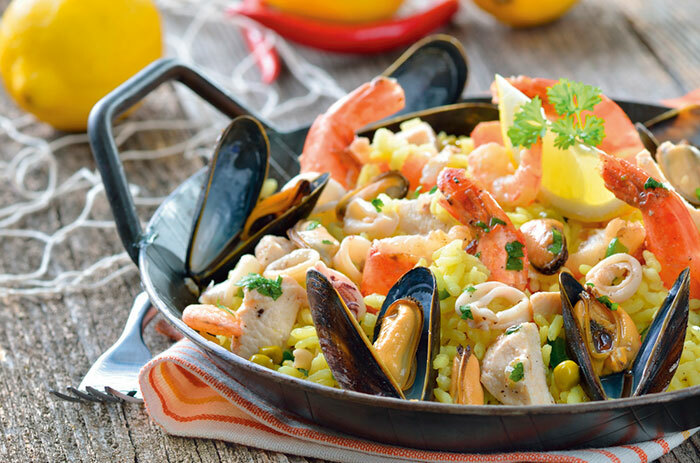 So we disappear into yet another lane and find a small café and stop again for a meal of the famous paella washed down again, by what else, sangria, and watch the leisurely pace of the place – lulled by the good food, cool drink and the warm sun.